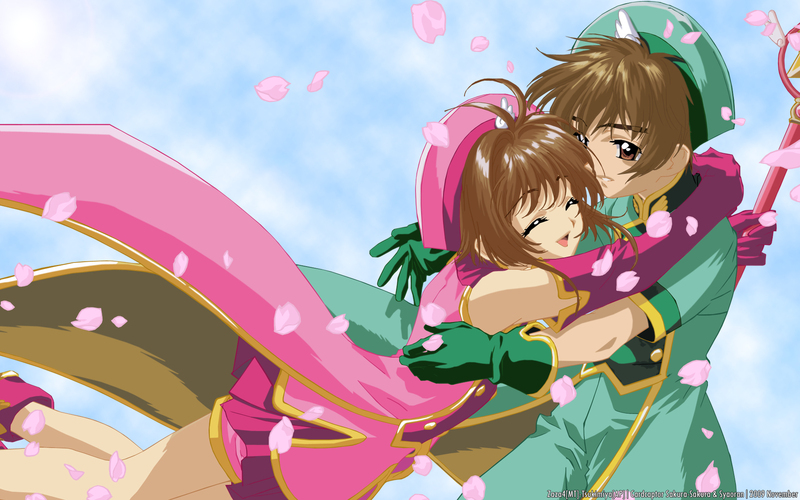 Cardcaptor Sakura Wallpaper: Hug me tightly! Minitokyo »	Cardcaptor Sakura Wallpapers » Cardcaptor Sakura Wallpaper: Hug me tightly! This wallpaper is made by me and it was vector by me too. I used my recent vector to create this wallpaper. The background I just use cloud only to make it simple. Hope that all of you like. It's a really sweet moment... I like it! Nice choice for background, It fits well with the main image. Some magic circle would be great.....Good job for bringing this up. Thanks for sharing, here & on the group pages! WAHHH! so cute! i love colors! so neat!